The wife of Interpol’s ex-chief Meng Hongwei said she is in danger and is worried that her husband could already be dead after going back to China late September. Gao Ge, whose English name is Grace Meng, believes her family is under political persecution from the Chinese Communist Party (CCP). Zhang Jian, a Chinese pro-democracy activist in exile in France, told The Epoch Times that Gao may be extradited back to China. Meng, 64, was China’s vice minister of public security until Oct. 7, and Interpol’s president since November 2016. He lived with his family in Lyon, France, where Interpol’s headquarters is based. Meng’s wife, Gao Ge, remains in France with their two children, seven-year-old twins. The Chinese regime announced on Oct. 7 that Meng is under surveillance and investigation for bribery and other unspecified crimes. “I don’t want any wife and children to go through the same situation,” Gao said. Pro-democracy activist Zhang Jian told The Epoch Times on Oct. 19 that the CCP has given Meng’s criminal report to the French authorities, and requested that Gao be extradited back to China. Zhang said Gao is in a tricky situation. China and France signed an extradition treaty in 2007. In the past, there were several CCP officials that were extradited to China from France. Zhang talked about the case of Yang Xianghong, the former CCP secretary of Lucheng District, Wenzhou City of eastern China’s Zhejiang Province. In September 2008, when Yang was in France with a delegation, the CCP’s Central Commission for Discipline Inspection (CCDI) brought up corruption charges against him. According to Chinese state-run media Xinhua, Yang overstayed for more than forty days in France and refused to go back to China. He was accused of “damaging the Party’s image and ruining the country’s reputation.” Yang left the delegation before Chinese authorities tried to bring him back home. Yang’s daughter tried to apply for political asylum for him, but France decided to extradite Yang to China after the CCP supplied criminal evidence against him. Sources say Yang was able to flee to Africa from France and avoided being extradited back to China. 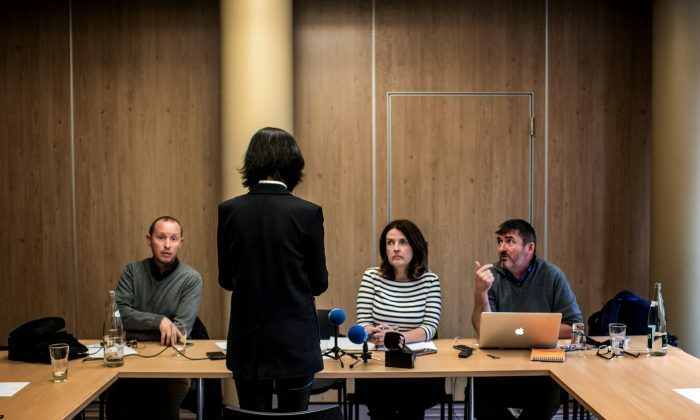 “According to the information of my reliable resources, the CCP is trying to use the same method to extradite Meng’s wife to China.” Zhang said France wouldn’t want to offend the CCP and may pressure Gao into silence. “France is reluctant, but it will likely provide some protection. France is a country that has rule of law. To receive protection, Gao has to provide the evidence to the judge that she and her husband are politically persecuted and their lives are in danger.” However, Zhang said if the CCP provided documents that proved Gao was part of her husband’s alleged crimes, France would have no choice but to extradite Gao to China. Zhang said he believes Meng is still alive and the CCP will arrange a perfect trial. Zhang was a student at Beijing Sport University when the Tiananmen Square protests occurred in 1989. He was shot in his right thigh and was sent to Beijing Tongren Hospital for emergency treatment. Zhang was exiled to France in May 2001, and seven years later, he received an operation in Paris to take out the shrapnel from his thigh.